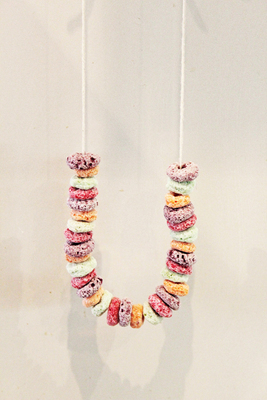 You can buy edible lolly necklaces at the store, but why buy them when making them is half the fun. 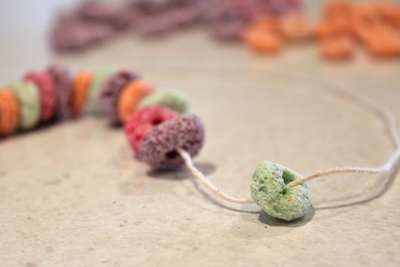 You can make these out of any candy or cereal that comes with a hole in the centre, so let your kids have fun with it and get creative. Give them away as party favours, or turn them into an easy to manage party activity. They can be adapted to suit younger and older kids. First step is choosing your 'beads'. 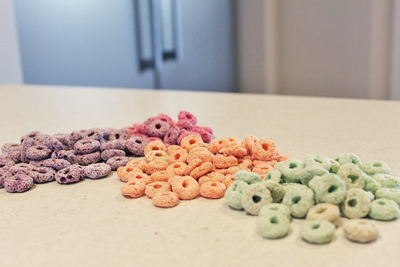 Fruit loops (or any kind of generic colourful loopy cereal) are a popular choice, especially for younger children. They're not as hard as some candies, so you've got less risk of the necklace becoming a choking hazard. Making these necklaces can be a great chance to teach younger kids about colours and patterns. 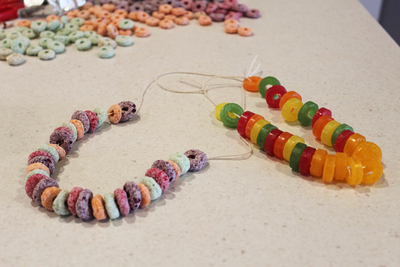 Separate your beads into different colours, and get your kids to plan their own necklace pattern. It's easy to combine some learning activities while having fun. Measure the necklace length and cut string to size. Decide whether you'll be tying a shorter necklace around the neck, or making long necklaces that can be slipped over the head. Start threading the beads on in the chosen pattern. Do this flat on the table and there is less of a chance of the necklace slipping and your beads going flying. Now you just need to tie up the necklace and you're done. Kids can munch away and look fashionable at the same time. Turn it into a party activity by having bowls of all of the different cereals and candy. Then let the kids go wild designing their own necklaces. 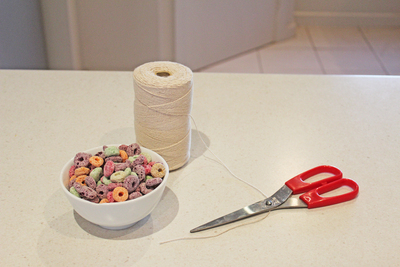 Most kids won't need any supervision apart from when you cut the string.